Don’t get me wrong, I appreciate the furthering of the lore in the series, showing the need of failsafes in the Alaya-Vijyana System in the event of another Edmonton happening like last season. Heck, there are character moments from the reveal of Zach’s technical knowledge, Kudelia and Atra’s confession, and Mika’s defiance of Orga’s attempt to stop him from ruining himself further I’m glad to have. Yet, even with the destruction of that agricultural complex with no survivors, there really isn’t much in terms of grit and desperation in this episode. No big casualties are to be had, even if Ride tried to be daring once again, never mind Iok being stupid (seriously, who let HIM into the Seven Stars?). The latter is quite disappointing, for this could’ve been some formidable Seven Stars person who has yet to hit his stride, and tried his best to win the respect of the Seven Stars, and even Julieta. However, we’ve yet to see the fallout of his actions here, so my criticisms must be tempered. Even so, we’re on our third episode on the Mobile Armour in a 25 episode series near the halfway mark. Usually large big monster Mobile Armour/Suits last for about an episode, but this one’s taking its sweet time. I think around this set of episode in the first season, people were complaining about the show dragging, especially since it had an objective of fulfilling in getting to Earth. I’m feeling it too. Unlike say, Gungrave, where the universe is relegated to one big city and one big mob where the protagonists climb their way to the top; Gundam: IBO is a bigger universe involving not just the criminal underworld but the political system in place for TWO planets. 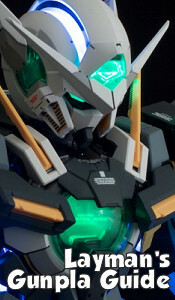 Will we have enough time to see where Orga and Mika are going? For it seems like there are grounds for the show to get ANOTHER season. However, this may be even worse for it could be a bit more a drag. 25 episodes to get them started; 25 to show their rise to the top; 25 to show their fall. Kindof crazy. I love the world and the cast, but a 3rd season’s bit overkill. Either way, that is all merely speculation, and I must temper them until I see the end results. 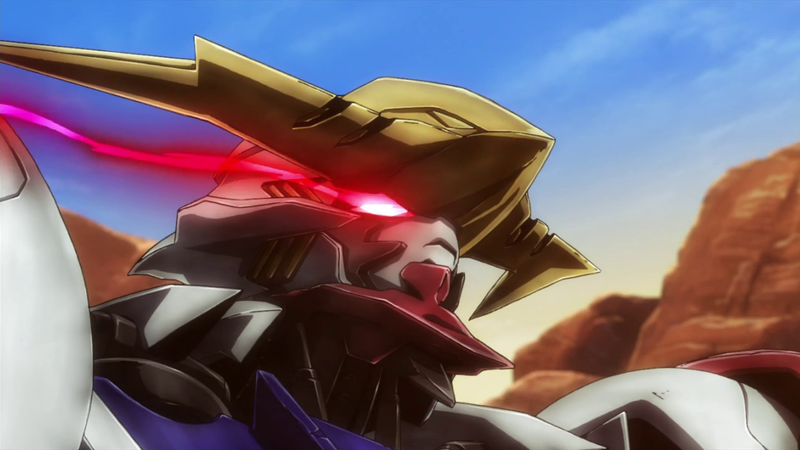 Even so, I must give the show credit for being I think the first time Gundam protagonists fought a Mobile Armour by ways of strategy and not being some beam spam fest with the hero Gundam pilot trying to tell the pilot of the big evil thing to stop. Maybe all this lack of death and devastation is to make the effects of Mika’s use of the Alaya-Vijyana system all the more impactful given the cliffhanger. I hope so, since we not only have to have this Mobile Armour arc end, but also end in a way that makes the week hiatus this show will have in the New Year a miiiiiight bit more bearable. Why isn’t Yamagi wearing any shoes when he’s with Shino in the Flauros? Guess the ‘Unicorn’ is Orga’s mobile suit, however I wonder how he would fare in that, since he’s more a Commander than a combatant. 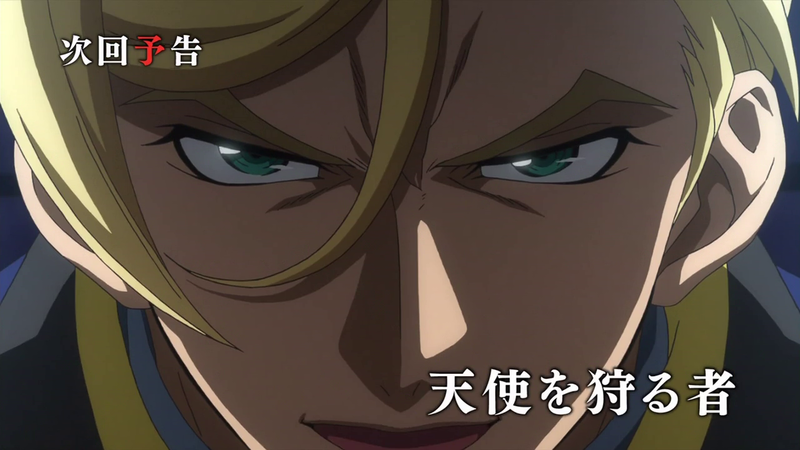 This Macky face makes me filled with moar foreboding in the next episode preview.